The Diocesan Synod for the Dioceses of Meath & Kildare took place on Saturday 28 September. Wilson’s Hospital School, in the heart of the Diocese of Meath, welcomes us today as we come from right across the United Dioceses of Meath and Kildare not simply to attend, but to be the Diocesan Synod. We congratulate Wilson’s Hospital – its Warden, staff and pupils – on the recent official opening of The Preston Extension. This part of the school bears testimony to the coming together of two schools in these dioceses for the education of children, irrespective of personal affiliation or religious belonging, in a state of the art modern school, proud of both heritages of schooling, where the Anglican tradition is unashamedly woven into the ethos which forms the daily life of the school itself. Preston School, as you all know, was in Navan. As today’s Wilson’s shows us, coming together in this confident way undoubtedly brings tangible benefits and dividends in the present for the future. The benefits are before us, for all of us to see and to enjoy. If this were not a church context, I might even dare to call it: amalgamation! All you need to do is to look around. This level of accommodation and practical provision enables a much greater number of people to be in the same place, doing the same things with confidence and flourishing as individuals. This, in large part, comes about through a deeply felt willingness on the part of those who carry responsibility for the school to co–operate with those who make educational decisions at national level as part of their public duty and service. lack of adventure; aren’t we better off with what we have; loss of status; collapse of numbers; on–going sectarianism; social exclusivity; discipleship without confidence; it will do us for our day …. and many others. We are left watching ourselves standing still. This is not an enviable position in which to be. A number of components come together in the formation, nurturing and sustaining of a diocese. At its most basic, a diocese is a group of people, priests and bishop all of whom share a common discipleship, ministry and life; the test and the proof of this are to be found in the ways in which these people relate to and care for the community beyond them, even more than they do so for the people who form their own community. Christianity is designed to be outward–looking and outward–moving. And so identity finds its compass points in those who are the neighbour and the stranger, every bit as much as they do in those who are the existing members, young and old. The outside and the inside bounce off one another. It is this relationship of elasticity and of bounce which keeps a religious community alive and compassionate, creative and active in all of its thinking, planning, praying and doing. This is the pivotal relationship through God between the church and the world. There is another and perhaps even more obvious way in which this understanding of a diocese works. It has to do with the relationship between the individual and the community and therefore with the ways in which this very relationship is enhanced by the need to give and the need to receive. Viewed from this perspective, we are perhaps reminded of the vivid and visual words with which archbishop Robert Runcie began the 1988 Lambeth Conference: an arch is the strength of two weaknesses coming together. By this he meant that the two sides of the arch could not stand upright without needing and having each other. Viewed from another perspective, we are the stronger for the combination of the gifts and talents which a shared spiritual life brings – and were it not for our needs, that life might never have come to bear fruit– but it has, and it will continue to do so. I am sure that you would wish to pay tribute to archbishop Richard Clarke in and through this Diocesan Synod. He was bishop of these Dioceses for sixteen years, during a period where a significant sense of solidarity was built up within them. Leaving a diocese, even if it is followed swiftly by arriving in another diocese, is difficult and painful as well as offering time for remembering and reflecting. Many in this brace of dioceses have been touched personally by the ministry which Richard exercized here. 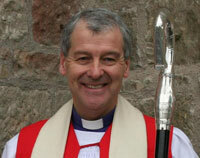 Today is your first Diocesan Synod without him in the chair as President for a very long time. We all continue to wish him what is best in his new diocese and his responsibilities locally, nationally and internationally. The Electoral College for Meath and Kildare met twice in 2013. Following the outcome of such successive Meetings, the decision passed to the Bishops and, as we know, the Reverend Patricia Storey has been appointed bishop of Meath and Kildare. I know that you will welcome Pat as your bishop and I myself look forward to the Service of Ordination in Christ Church Cathedral Dublin. Between the two Meetings of the Electoral College and the Election by the bishops, there was an important event, indeed the first of its kind, in St Brigid’s Cathedral, Kildare and I shall speak of it later in more detail. I have always thought that this cathedral church of St Brigid is a colossal resource to these United Dioceses, ever since the time when the road from Cork took me right past it en route to Dublin. But as the years have moved on and as I have sought to keep pace with them, I have been more and more impressed by the missional courage of this cathedral and what it stands for. 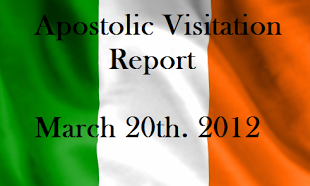 It has the patronage of an Irish woman and is proud of it; it grapples with the overlap of spiritual and secular power and authority as we today must continue to do so; it goes even deeper than this because it witnesses to the Christian conviction that we must be where paganism and Christianity meet, however painful, creative or honest this exchange may be. Again, this is a very contemporary challenge which is not to be confined or committed to the dreamy mists of a Celtic dawn. Today there is no scope in Christian witness for the all–too–familiar and all–too–attractive brick wall of self–pity whereby sentimentality masquerades as tradition; whereby containment masquerades as identity; whereby sectarianism, however well–dressed and well–manicured, masquerades as witness; all of these paganisms within the church of today corrupt and distort the in–breaking of the Kingdom of God. Like me, ladies and gentlemen Members of Synod, you will discern that it is church people who far too often trumpet what is the negative side of what I outlined above and who all too often enjoy it. We are called to more principled action, to more generous thoughts and to more welcoming hearts as children of God and as disciples of Jesus Christ than this. The life of any diocese is in the hands of its people, whether they be lay or ordained, every bit as much as it is in the hands of its bishop. The bishop depends on the honesty and the loyalty to God and the church of the people of the communities of the diocese. And the people depend on the ministry of compassion and healing, of teaching and of decision–making of the bishop in turn. But I should like to bring you back to the evening of Tuesday, September 3rd and to St Brigid’s Cathedral. More than fifty people from the United Dioceses gathered to talk through – argumentatively, biblically, prayerfully – matters and concerns which they carried on their heart about events surrounding the two meetings of the Electoral College for these Dioceses which had taken place. I am indebted to The Reverend Dr David Tuohy SJ for facilitating that memorable evening; I am indebted also to the many people who came and participated in the evening, truthfully and hopefully. Many, many good things were said and it was in fact a first for the Church of Ireland to do this. Again, my hope and prayer would be that together with your new bishop you will all now flourish under God and develop fresh initiatives of outreach, creative friendships across the community and an ever–deepening relationship with God and neighbour. It would indeed be remiss of me not to draw proper attention to the initiatives for good which are now woven into the diocesan life of Meath and Kildare. At a time when much of the rest of the Anglican Communion was, in the opinion of many, over–exercizing itself about homosexuality and then human sexuality, in 1998, following a request which issued from The Lambeth Conference, Meath and Kildare was one of the first dioceses to give 0.7% of annual income towards the eradication of world debt. The United Dioceses have sought to grapple creatively and positively with ideas which have flowed from the Church of Ireland’s Commission on Ministry, through the development and implementation of a lay training programme which seeks to match personal gifts and diocesan needs. Out of this has come a range of ministries for and by lay people – listening, communication and facilitation; liturgical assistants; administration and pastoral studies. All of this reinforces the point I sought to make earlier: the priority of discipleship and service over clericalism and excessive dominance in the expression of ministry. The former bishop’s interest in and commitment to the Community of Sant’Egidio has clearly been taken up in the DREAM Programme in Malawi, in which courageous and compassionate attempts are made to lessen the impact of HIV infection. There is also a parallel Project in Umbombo Children’s Care Village, South Africa which sponsors a programme for food and a specialized diet for children with AIDS. Another initiative is the Farming Project in Haiti promoting self–sufficiency among Haitian farmers, not least after the earthquake. Together with this, the Dioceses consciously encourage youth work at both parochial and diocesan level. These initiatives have been sustained and enhanced over the period since archbishop Clarke left Meath and Kildare for Armagh. I am sure that I am not alone here in visiting and enjoying Kildare Village. It is not a secret kept and preserved by and for the Dioceses of Meath and Kildare! You may, however, not think that it has much theological significance or importance. However I leave you with this thought. You can find it the point where you take your leave of Kildare Village and make your way into town, passing the ruins of Grey Abbey, the House of the Franciscan Grey Friars. What is to become of you. In the context of our Diocesan Synod today it comes across to me first and foremost as an invitation to be courageous and hopeful. We all have a personal history and we long and yearn to be proud of it. We all have personal individuality and we long and yearn for this to be nurtured, challenged and stretched. We all have a future, and for us as members of the church and disciples of Jesus it is a shared way of life with God and with our neighbour. Of course, it involves our being worldly–wise; of course, it involves our arguing the toss and not taking: No! for an answer when we should not do so. Christianity is a life within a life, not a life without a life. And it is also a life beyond life as we currently know life. But it calls us forward to witness to things and to decisions which are for the good of others before they are for ourselves. It calls us to restrain and to refute the latent instincts for superiority and exclusivity which distort the witness in faith and render it incomprehensible to others. Most of all it calls us to allow God to bind us together and to lead us forward in truth and in love, in forgiveness of each other and in recognition of a shared future. In God truth and love are the same thing; the invitation is that they be equally so in us. It has been a great pleasure and an equal privilege to journey in some small way with you in the period between one diocesan bishop and the next. For my part I should like to thank personally all of those who are known to you yourselves over a long period and have become well known to me as dear friends in our shared work in a short time. I think of both Karen and David Seaman who contribute so much to the life of these United Dioceses. I think of Leslie Stevenson your archdeacon who has borne a heavy care and concern in so many ways, along now with personal bereavement, over the year past. I think of John Clarke who has been a willing Commissary and Gerald Field who stepped into this role for a brief period during the summer past. I think also of the people and clergy who have sustained the life of home, parish and community day by day and week by week. I consider it a great honour to preside over your Diocesan Synod today here in Wilson’s Hospital. Interesting and fruitful times lie ahead of you and I wish you everything that is best as you embrace those days, under the service and leadership of your bishop, with confidence and with joy. 1 John 3.2: Dear friends, we are now God’s children; what we shall be has not yet been disclosed, but we know that when Christ appears we shall be like him, because we shall see him as he is.